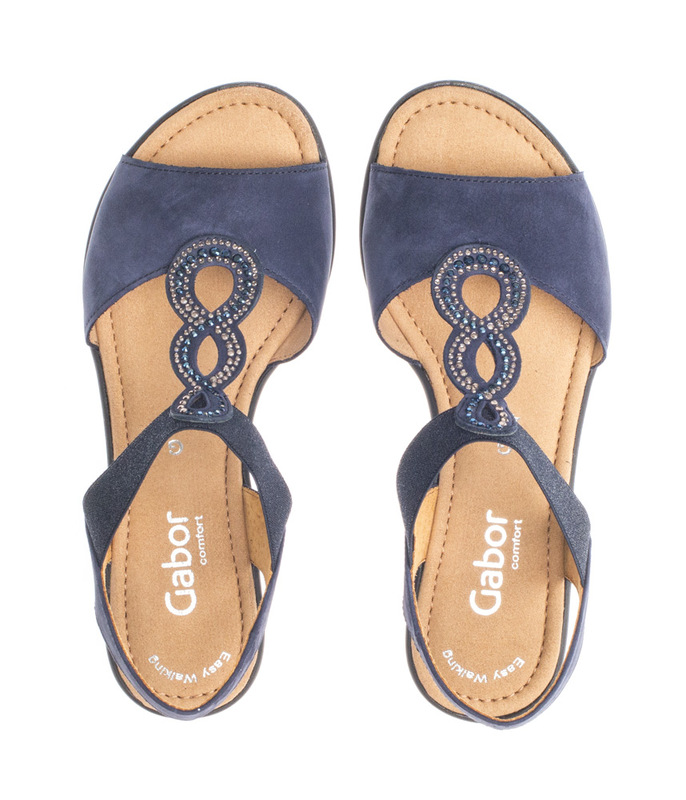 A Pretty embellished flat sandal from Gabor. 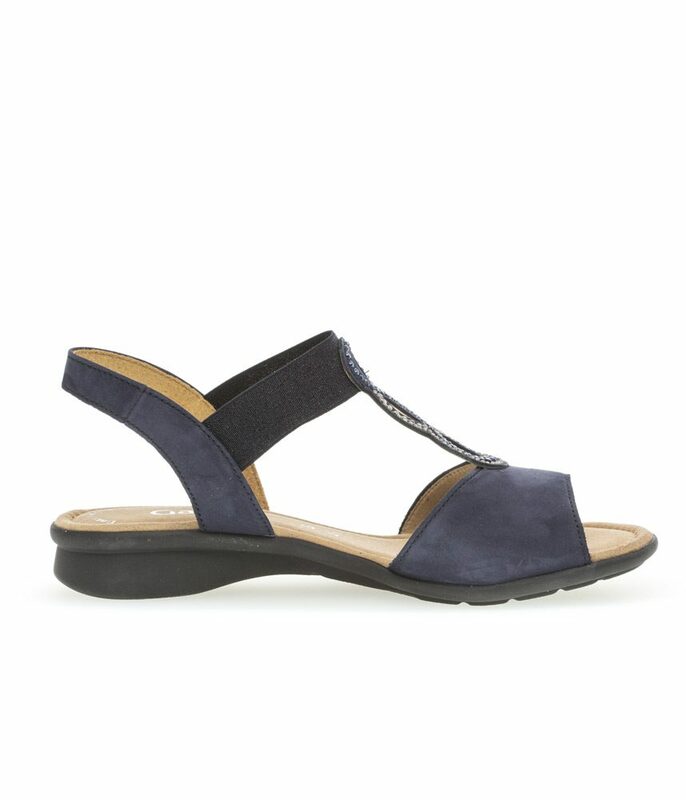 The Navy nubuck leather upper is adorned with a circular design of diamante studs to add a little glitz to your outfit. 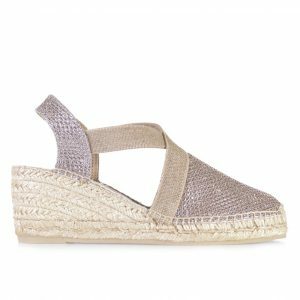 A sparkly elasticated panel across the top of this comfortable sandal will help you slip into these sandals easily. Soft lining and a padded insole will gently cushion your feet and will contour to the shape of your feet for even greater comfort. 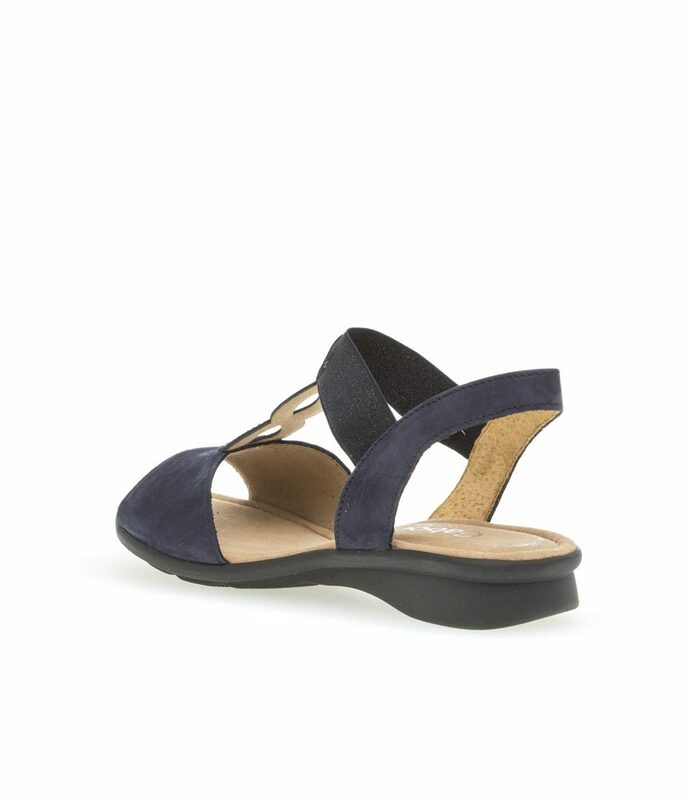 The heel raises slightly to create a small 1.5cm wedge to give you more support and stability. Wear with trousers, skirts or dresses for super summer styling.